Oceania Sale Barns Directory - O Horse! Kyrewood Equestrian Centre is a registered private training establishment, offering the National Certificate in Equine courses to level 4. Kyrewood has two programmes available for schools. One is a Unit Standard based programme, and the other is a simple riding and horsemastership programme. 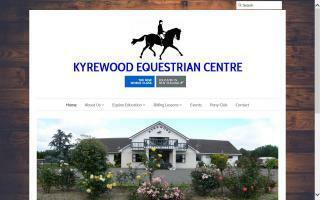 Leading source of quality eventers and jumpers in New Zealand. Are you wanting the best quality ponies, galloways, and hacks for dressage, hacking, and even jumping? Horses with great temperaments and outstanding conformation and looks. Stunning imports. Quality and outstanding versatility. Killara Show Horses is a show establishment in New Zealand specialising in the production of high quality show horses and ponies. Schooling and conditioning for owners and offering for sale on their behalf.